Bhuvneshwar Kumar was once again exceptional with the new ball upfront bowling a probing length consistently, as he gave away just 10 runs in his first spell of five overs. 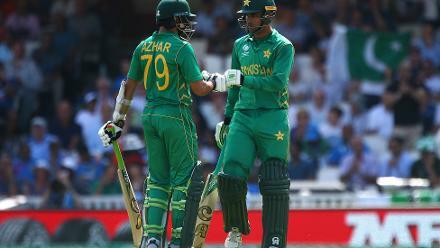 Fakhar Zaman and Azhar Ali, however took their chances going about scoring runs at a healthy rate as they stitched a 128-run partnership for the opening wicket. India got its first wicket courtesy a mix-up between Azhar and Zaman, which led to the former being run-out for a compact 71-ball 59. 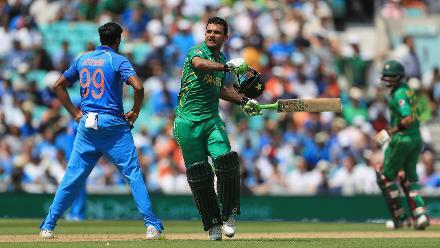 Fakhar Zaman rode his luck initially, but went on to score his first century in International cricket smashing 114 in 106 deliveries studded with 12 fours and a six. 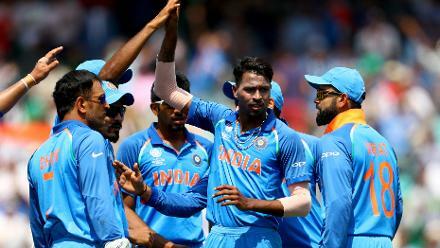 Hardik Pandya provided the much needed breakthrough dismissing Zaman, with Ravindra Jadeja completing an excellent catch running backwards. Mohammad Hafeez smashed a belligerent 37-ball 57 to provide the late impetus as Pakistan surged to 338 for 4 in its 50 overs, the highest score in this year's Champions Trophy. Mohammad Amir got Pakistan off to a perfect start, first picking up Rohit Sharma for a duck in the first over, then Virat Kohli (5) and soon had Shikhar Dhawan (21) caught behind to leave India tottering at 33/3. 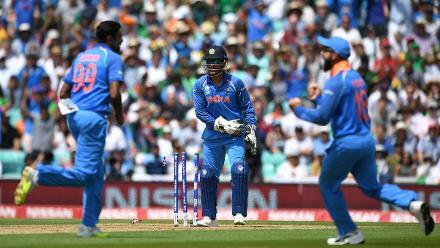 It soon got worse for India, as Shadab Khan got into the act with the crucial wickets of Yuvraj Singh (22) and Kedar Jadhav (9) to slide to 72 for 6. 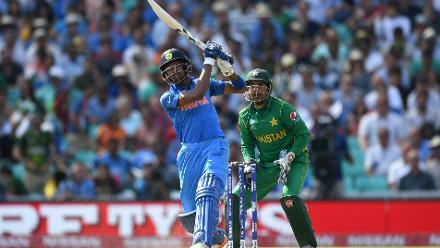 Hardik Pandya was at his brutal best, as he smashed a blistering 43-ball 76 studded with four fours and six sixes, before a massive mix-up with Ravindra Jadeja ended his innings. Hassan Ali, the leading wicket-taker in the tournament with 13 scalps was once again at it, returning with figures of 3 for 19 in 6.3 overs, as India bundled out for just 158 in 30.3 overs. Ranked eighth in the world, it was a phenomenal victory for the Men in green, as they trounced India by a massive 180 runs to win the ICC Champions Trophy for the first time.